You must be pursuing some specific direction if you have released four solo albums on double bass while you’re still in your early thirties. No doubt this is the case of Mike Majkowski, which in addition integrates here for the first time to his distinguishable style the use of other sound sources. The predominant feature remains solidly grounded in his “variation from repetition” method, especially applied to the bowing, that further develops the exploration started in “Tremolo” and in the recent “Why Is There Something Instead Of Nothing”, but also traceable in his cooperation with other musicians. The first side is the sum of three separate but consequential chapters of comparable length “Chadelier/Gondola/Ec”. In particular, the second and the third part lie on a specular mechanism through which the principal and subordinate ingredients and tiers of the arrangements alternate as in a negative image. The clear final notes push us towards the second side - Carnival of Decay - where the crescendo has no interruptions and the insertions of other sound sources - percussion, piano, accordion and field recordings - become more significant, dealing again with the notion that the repetition of an event generates itself a change. 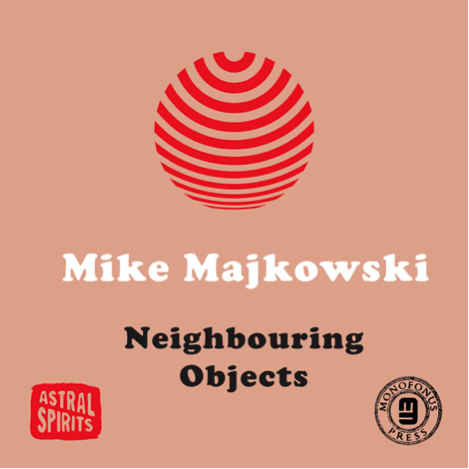 As I noted before, Majkowski dominates the minor sonic results of his actions on the instrument, bowing with changing intensity and speed to nourish under the dominant layer a thriving underworld of subtle whistles, chopped vibes, bits of notes and overtones, echoed crackles and tiny scrapes. These fragments are the real structural patterns of his compositions. I have two personal requests for Majkowski: a solo album on electric bass working mainly on harmonics and chords; a future collaboration with John Butcher. A side note. In no way I’ll be persuaded that listening to an audiocassette in 2015 is something more than an act of fetishism. Only digital download option available around the web.